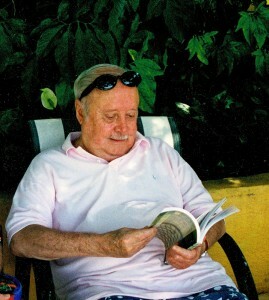 In 1974 Alfonso de Hohenlohe received an invitation from his friend Enrique Corcuera to visit him in Mexico. During his stay he became intrigued by this new sport that his friend had just invented. It used to be played with wooden racquets and it was known as Paddle-tennis. Alfonso de Hohenlole’s enthusiasm for this new sport became known when he returned to Spain. After improving certain aspects of the court and changing a few rules of the game, he built two padel courts at the Marbella Club, Malaga, Spain, and began promoting the sport among his rich friends who became padel fans. The growing popularity of the sport in such a short period of time was quickly acknowledged by many relevant individuals within the tennis world such as Manuel Santana, 1966 Wimbledon Champion, who began organizing competitions and promoting the sport in the Costa del Sol, Spain. In 1975, a good friend of Alfonso de Hohenlohe’s and a regular visitor in Marbella, Julio Menditengui decided to promote the sport in his native country Argentina, where in a couple years it became the second most played sport in the country; currently, more than 2 million players and 10,000 courts built nationwide.